1. Masters degree/ Four year honors degree from a reputed university with at-least two first division/class. Third class/division in any examination will not be eligible. b. Only Bangladeshi citizen can apply this post. c. After filled up full application form, candidates get CV Identification Number, Tracking Number Password. They should keep it for further . d. Selected candidates (written exam) have to submit all papers with evidence. After proved all, then they will allow for viva. e. If any Wrong information and false information will disqualify applicants. f. Candidates must attend for written and viva exam. g. Bangladesh Bank (BB) has power to decide anything and can take any decision. Go To Bangladesh Bank Apply Site https://erecruitment.bb.org.bd/onlineapp/joblist.php click Apply Online. Fill up Your Application Correctly. Fill up the text boxes with appropriate information. Select your passport size Photo by clicking Browse button, to specify the location. Photo Size should not exceed 80 Kilobyte. Preferred Dimension is 600×600 pixels. Finally Click Submit Application when you fill up all information. After Successful submission of your application, a page appears which include an Application Tracking number, and a CV Identification Number. Please Print and preserve this page. After application completed online application, Bangladesh Bank selection committee will call for the MCQ exam in 100 numbers. For that candidates must download admit card and seat plan from the Bangladesh Bank website at https://erecruitment.bb.org.bd/index.php. Only eligible candidates will get SMS for download admit card and information about seat plan. All the candidates must seat for MCQ exam then written exam in 200 numbers and finally viva voce. So MCQ passed candidates only able to seat for written exam. If you have already registered (after 15th November, 2009) to Bangladesh Bank CV bank, please use your CV Identification Number and Password to apply. Then selected post and click “Apply online“. Just put your CV identification number and Password. And now hit submit Button. You will get a confirmation applicants copy. Print the applicant’s copy for further work. Bankers´Selection Committee Secretariat(BSCS) authority Mobile SMS declaration will be published Admit Card. Every applicant can download login with User Id and Password at https://erecruitment.bb.org.bd/onlineapp/print_admit.php. Bankers´Selection Committee Secretariat(BSCS)authority Mobile SMS declaration will be published Seat Plan and Exam Center at your Admit Card. You can download Admit Card login with User Id and Password at https://erecruitment.bb.org.bd/career/jobopportunity_bscs.php. 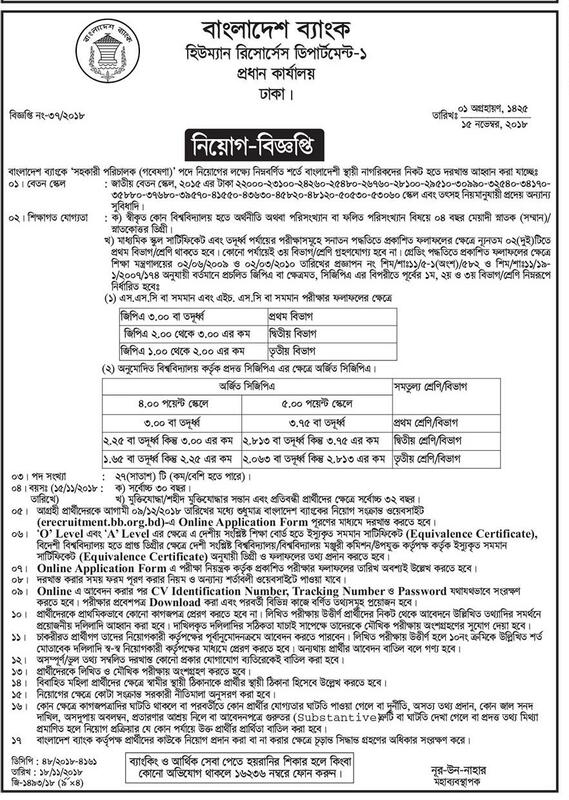 Bankers´Selection Committee Secretariat(BSCS) authority will be published at their Official website notice board https://erecruitment.bb.org.bd/career/jobopportunity_bscs.php. 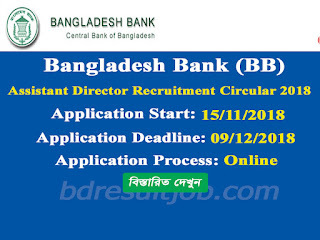 Tags: BB, BSCS, www.bb.org.bd, www bb org bd, Bangladesh Bank(BB), erecruitment.bb.org.bd, www erecruitment bb org bd, job opportunities, govt job circular, bangladesh bank job, bank recruitment, government jobs in bangladesh, bangladesh bank recruitment, bank job circular, bangladesh bank circular, application for bank job, bangladesh bank job application, latest bank job circular, govt bank job circular, job bank, government jobs, government jobs in banks, bank careers, bangladesh bank recruitment, bank job circular, govt job circular, bangladesh bank circular, bank recruitment, recent bank job circular, bangladesh bank apply, bd job site list, bangladesh bank job application, all bank job circular, bangladesh bank apply online, bd bank job circular, bank job circular 2017, recent govt job circular,job websites in bangladesh,all bank jobs bd, bangladesh bank job, bd jobs bank, bank job, Bangladesh Bank (BB) Assistant Director (Research) Recruitment Online Application Form, BB Bangladesh Bank (BB) Assistant Director (Research) Viva exam date, bb org bd. 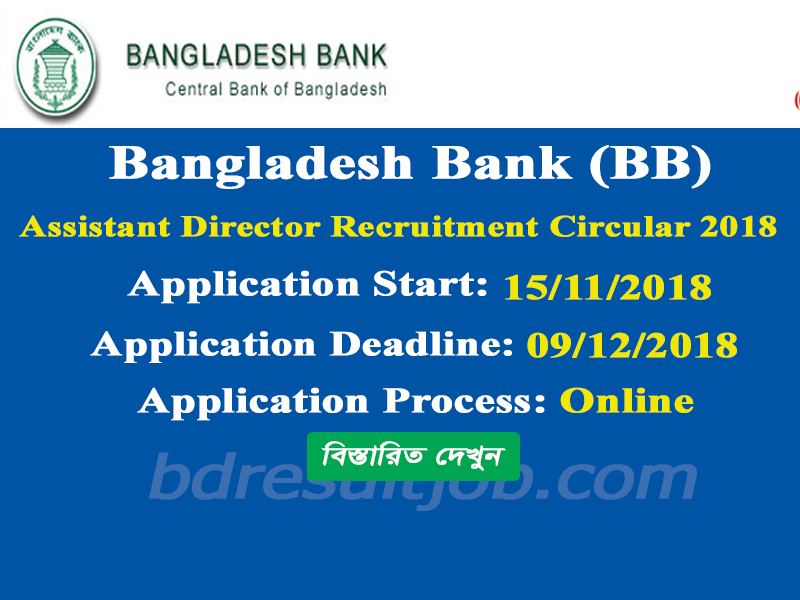 BB, BSCS, www.bb.org.bd, www bb org bd, Bangladesh Bank(BB), erecruitment.bb.org.bd, www erecruitment bb org bd, job opportunities, govt job circular, bangladesh bank job, bank recruitment, government jobs in bangladesh, bangladesh bank recruitment, bank job circular, bangladesh bank circular, application for bank job, bangladesh bank job application, latest bank job circular, govt bank job circular, job bank, government jobs, government jobs in banks, bank careers, bangladesh bank recruitment, bank job circular, govt job circular, bangladesh bank circular, bank recruitment, recent bank job circular, bangladesh bank apply, bd job site list, bangladesh bank job application, all bank job circular, bangladesh bank apply online, bd bank job circular, bank job circular 2017, recent govt job circular,job websites in bangladesh,all bank jobs bd, bangladesh bank job, bd jobs bank, bank job, Bangladesh Bank (BB) Assistant Director (Research) Recruitment Online Application Form, BB Bangladesh Bank (BB) Assistant Director (Research) Viva exam date, bb org bd.